We built the foundation of our company on a simple philosophy: "Deliver what you promise with dignity, respect and understanding." Having worked in the veterinary services field for 37 years, we know the importance of this philosophy. We understand the confidence and trust you place with us in handling your pet's final journey, and we promise to take that responsibility seriously. We are available 24 hours a day for pick up or receiving of your pet. Please call 919-787-4334 to arrange for after hours service. We follow the International Association of Pet Cemeteries and Crematories 'Code of Ethics and Standards'. This sets us apart from other providers and ensures that your pet receives the utmost care and respect throughout the cremation process and that proper protocol is always followed. We understand that making important decisions during a time of emotional stress can be difficult. For those pet owners that wish to plan ahead, we offer pre-planning services where we outline our options and pricing so the client knows in advance the services they would like to use and the cost of those services. If there is a special urn that would be used, it also ensures that the urn is on hand when the need arises. 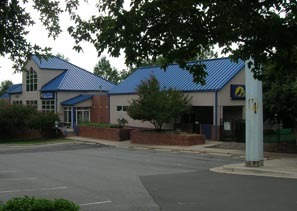 We are conveniently located 1 mile past Crabtree Valley Mall going out of town. You may call us at 919.787.4334, text us at 919.880.7875, or email us at Steve@CarolinaPetServices.com.